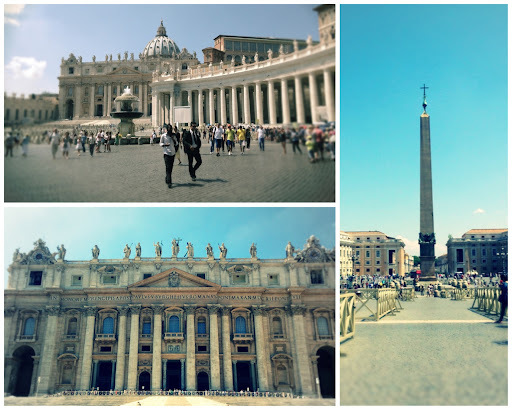 It's the last stop for all of our Europe vacation posts (then we'll be going back to reality home stuff), time to wrap things up with a look at our visit to Rome, Italy! The hot Rome misery is on display in this video, I was just as grumpy as Alex sounds, that crowd was insane! 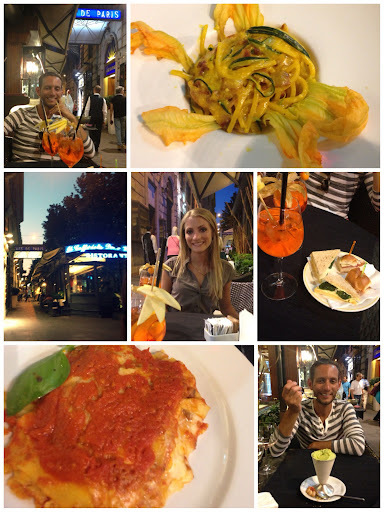 Dinner and entertainment at Cafe de Paris in Rome! Loved every part of this dinner, felt like family and learned a thing or two about Italian dining! 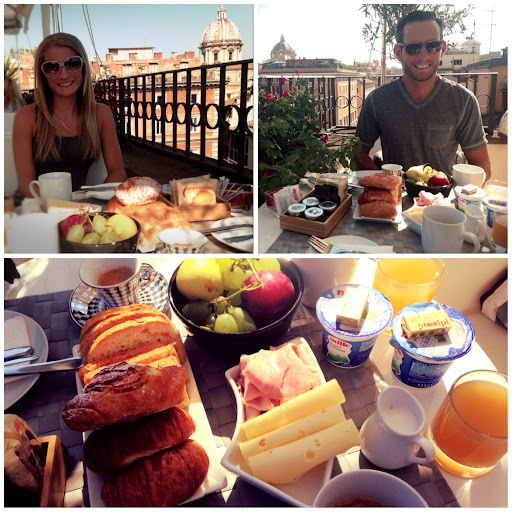 Rooftop breakfast included at our hotel- uh, amazing! Simple, table served and delicious! 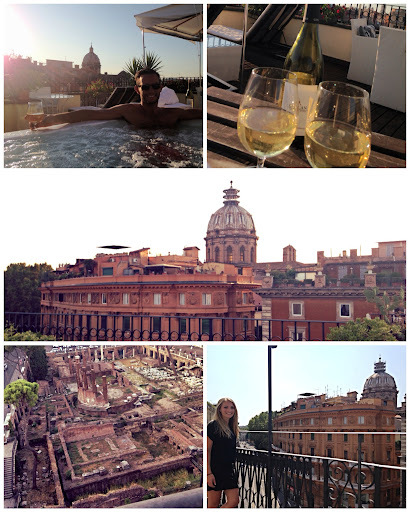 Also included with our hotel- balcony from room, rooftop hot/cold tubs (needed after hot gross days sightseeing), and views of Roman ruins. So glad we found the Relais Badoer hotel near all the sights we wanted to see! 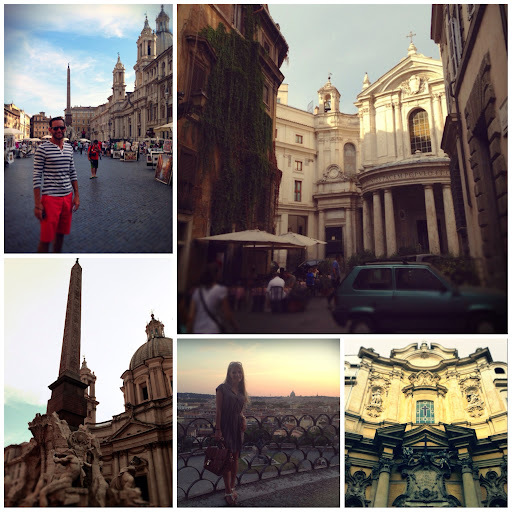 What was your favorite moment in Rome? 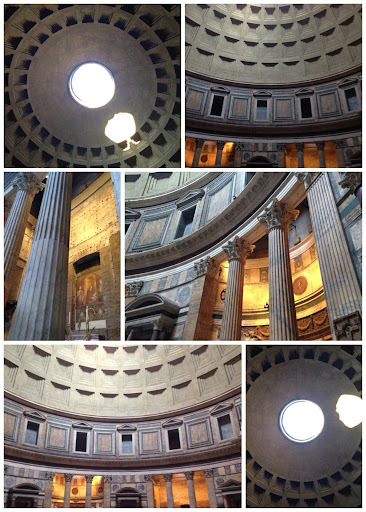 Carla: The moment I saw the Pantheon for the first time, the size, opulance, and structure was astonishing! 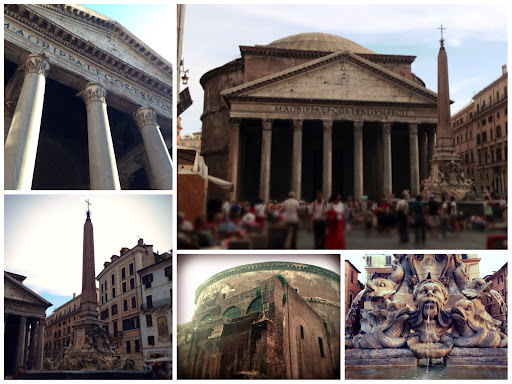 This grand dome shaped ancient structure sits tucked away down several small Roman streets but once you have a chance to lay eyes on it, it overtakes you.... along with all the younger buildings surrounding it. In that beautiful moment, I saw The Eternal City's layers upon layers of civilization that have existed with life continuing on no matter how much things change around it. 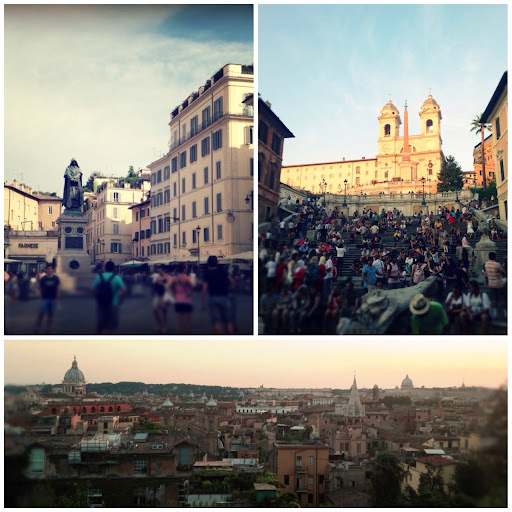 What surprised you about Rome? 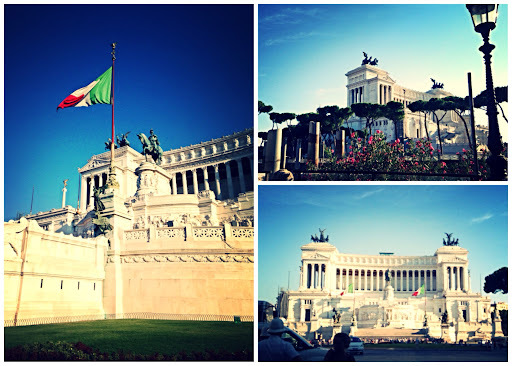 Alex: It surprised me that I had to intentionally slow down in order to fell really excited about Rome. Maybe it was the crowds or the fact that it was the last leg of our trip. Maybe it was the fact that I had built this place up to the image that Hollywood portrays in all of the period films. 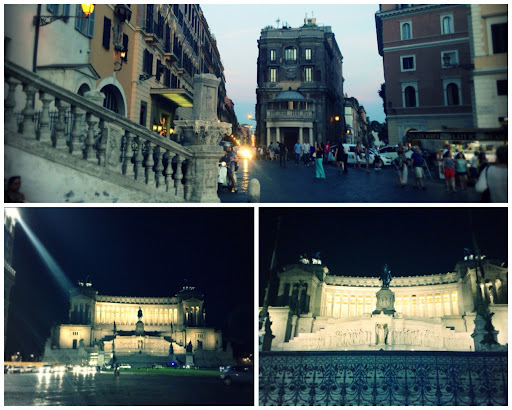 Regardless, it wasn’t until I slowed down and thought about the marvel of what I was looking at that I felt truly moved by Rome. Sure, walking into St. Peter’s Square for the first time, or zipping around the Colosseum on the Vespa were truly spectacular moments but, few and far between were the moments that I felt as though that magic feeling came naturally. 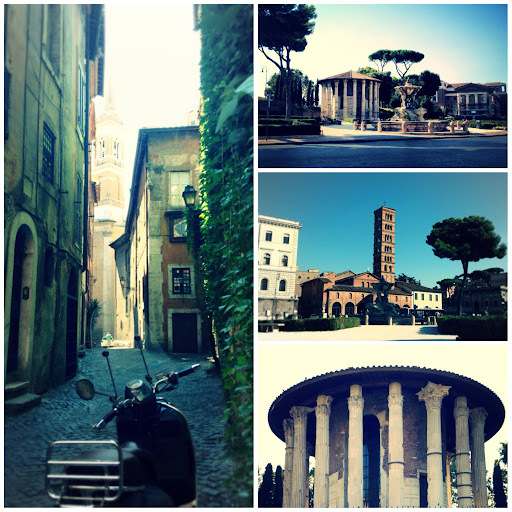 I loved Rome but, I wasn’t in love with Rome. 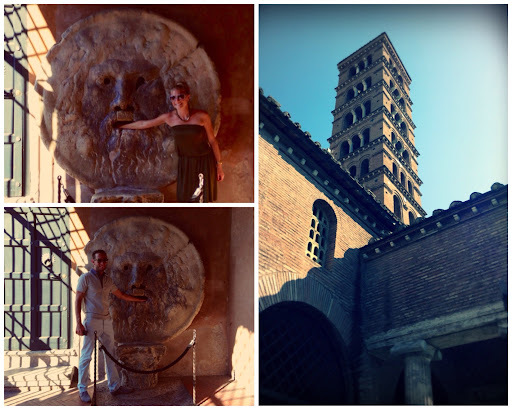 I think I secretly longed for the Rome from Gladiator – the Rome of legends. Carla: The massive, and I mean MASSIVE crowds of tourists that ruined the special moments I envisioned when dreaming of traveling to Rome one day. I know it sounds lame but it was such a bummer during our trip and yes, I know we went in the high tourism season but this was OUT of control- again watch that video we posted from the Trevi Fountain, the size of the crowd is insane! We've been to many other cities in Europe in August and nothing was this bad. Biggest disappointment was when we visited the Sistine Chapel, I dreamed for so long to see it with my own eyes and truthfully, the experience was much like being in a crowded loud bar or club with wall to wall people and security guards pushing you along while yelling at you to "move, no cameras, keep moving, put that camera away!" Yea, not special at all and I imagine Leonardo DaVinci didn't envision that either. 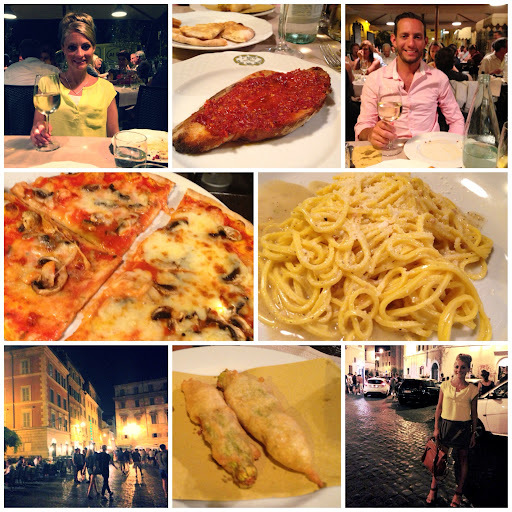 What was your must-try menu item while in Rome? Alex: Pasta. 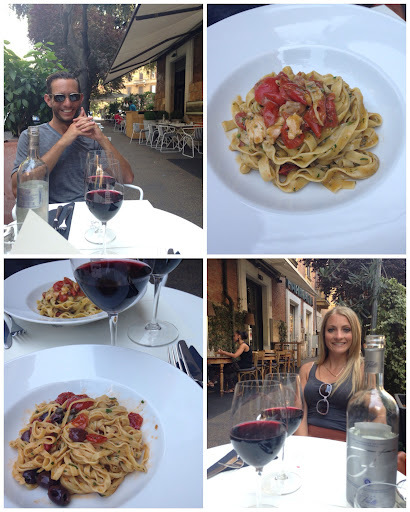 It seriously is that much better than when you’re sitting down at the never ending pasta bowl :) Yes, you can find bad/average pasta all over Rome but there are plenty of places that do it right, and won’t let you down. Yep it’s cliché but the Pasta and Pizza were outstanding! I recommend Café de Paris and anything else that's not on a major tourist trap street. 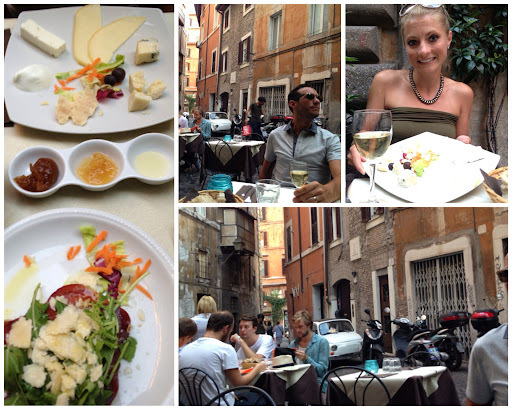 Carla: Order Cacio e Pepe- but make sure it is at an off-beat, non-tourist location. It's an amazing Italian dish, just pasta, fresh Parmesan, salt, pepper, and bam! Done right, those simple ingredients become an AMAZING, rich pasta dish! Aside from that, find a great authentic bakery and get lots of treats to sample! 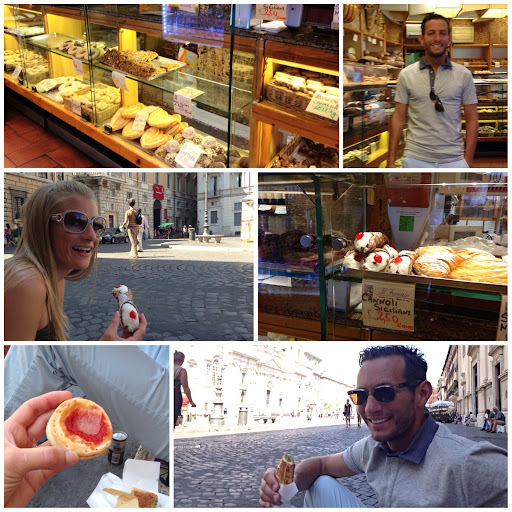 We found one near the Piazza Campo D. Fiori (photos above) and enjoyed picking lots of goodies to snack on while sitting in the piazza people watching. What tip would you share for someone going there? 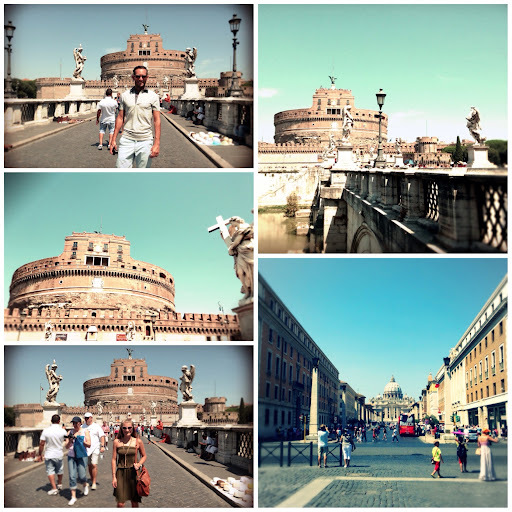 Alex: First, If you’re going to Rome in the high season, be prepared to deal with crowds and let go of your dreams of capturing that timeless photo of you and your loved ones all alone in front of some amazing landmark. Second, get a Vespa and get lost in the eternal city. Third, eat and drink anything you want, whenever you want. Carla: See my above response for more details, but go in the fall or winter :) avoid the hot HELL that Rome is in August. Why would you go back? 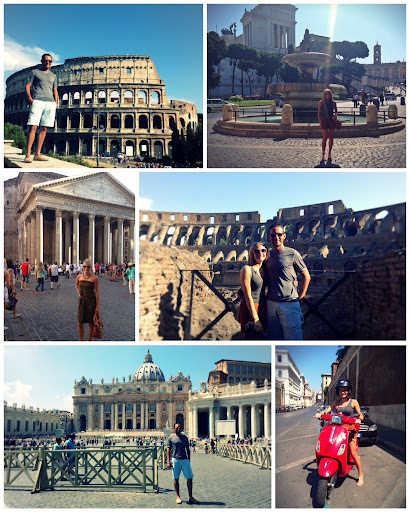 Alex: I want to go back to Rome in the off-season and really take it in slowly. There are too many sights and sounds going on that make it easy to get caught up in the action and forget to visit Rome like a Roman. If you’re not sure what I mean by that, I recommend watching Anthony Bourdain’s No Reservations Rome episode. 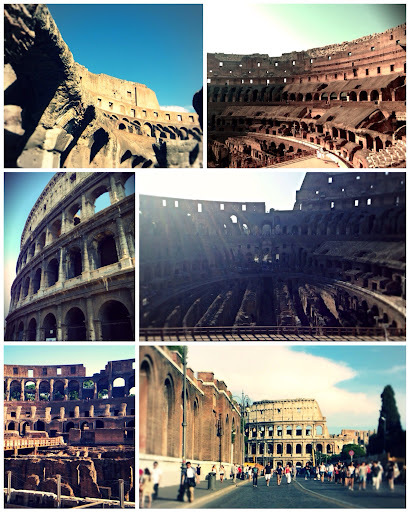 Tony found his “Rome” and I will go back to find mine someday. 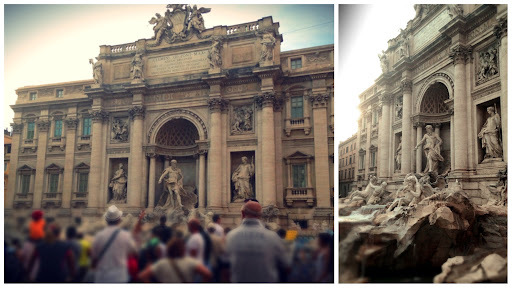 Carla: I would love to go back to see the Trevi Fountain again... and not hate it. Seeing that was one of my 'someday I dream of seeing' places and it was awful- so crowded, couldn't enjoy it, wanted to curse at people, wanted to hit people with a stick so they'd get out of my personal space, and yea, it was awful. Despite all that awful, there is something I regret- I didn't throw a coin in the fountain and make a wish. The long time legend/tradition in Rome is if you throw a coin in the Trevi Fountain, you will return to Rome someday. At the time the crowd was to large to even try pitching a coin in the fountain but more than that the crowd made me so disappointed and mad that I thought I wouldn't want to return to Rome. I guess this is my honest, regretful public statement, I would love to go back so I can throw my wish in the foutnain... Just not in August. That's a wrap for Europe, phew! I kind of got sick of that stuff, glad it's all done! Ready to get back to home, house, DIY, and fashion fun! Hope ya'll are ready for it!